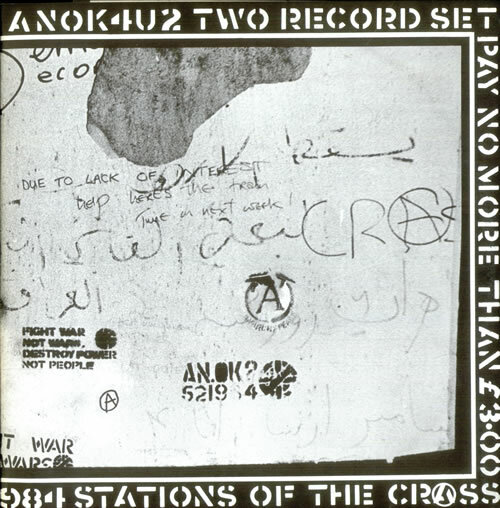 The ‘anarcho-punk’ band Crass never compromised, was very political and never had faked some sort of appearance. They were honest. Real. And extremely popular. Real punks wore the Crass logo on their jackets. Some of the members are still living together in Dial House, a quiet place in the countryside just outside London. ‘Permaculture’ workshops (‘living ecologically and sustainable’) are organized there. Penny Rimbaud (drummer) and Gee Vaucher (art works) are still living up to Crass’ ideals. They are trying to live an authentic life ‘outside the framework’. Crass’ key statement was: ‘There is no authority but yourself’. They live with little money, concentrate on their own art of writing, painting and gardening. And that’s quite hard since society demands conformism, consumerism and a money oriented mind. Steve Ignorant (vocals) sees Crass merchandise being sold on the internet without earning anything from it. He watches soccer in the local pub and is still proud that Crass never ever sold itself out, despite good offers from people with big record companies who claimed that ‘they could market their revolution.’ Since the fall of communism in 1989, most people in the west thought that now communism had failed, capitalism had won. It was time to let capitalism bloom fully. Everyone could become rich by trading shares on the internet and all the soft talk about social security for people who couldn’t manage to get along had vanished. Privatization was the neo-liberal keyword. All public services would become commodified. The distinction between left and right disappeared. The age of market-technocracy had begun. The importance of resisting a material world that is based on economic fundamentals is very relevant to our time. The people who once formed Crass make us realize that it’s absurd to consider today’s consumerist world as normal. That you can build your own life outside this consumerism and that the paradigm of economic growth is actually ruining the planet and could very well be ruining our lives as well. The message is as simple as hard to live by: Realize what’s happening around you and if necessary, resist. There is no authority but yourself.